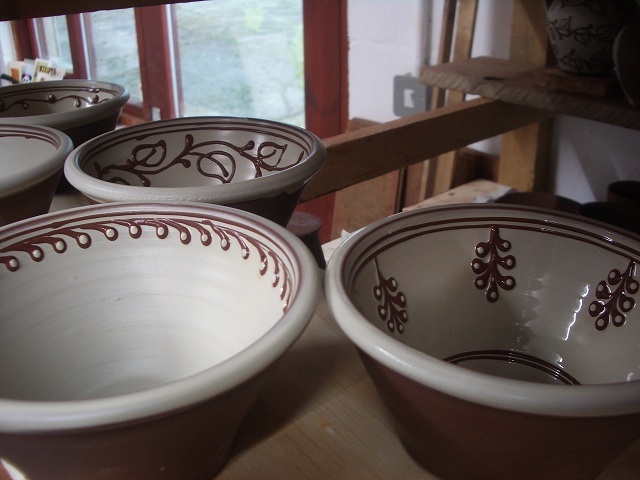 I love the pancheon shape but have never made them before. They tend to be simply slipped and stunning for it and I figured that diidn’t match me too well. I just realised this week that they didn’t have to be undecorated if I did make them. here’s some tiny ones, 1lb of clay. 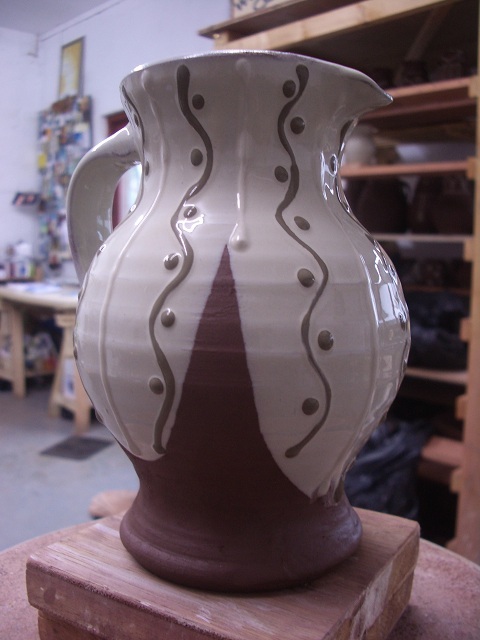 Finished slipping and sgraffito-ing all the 47 jugs. 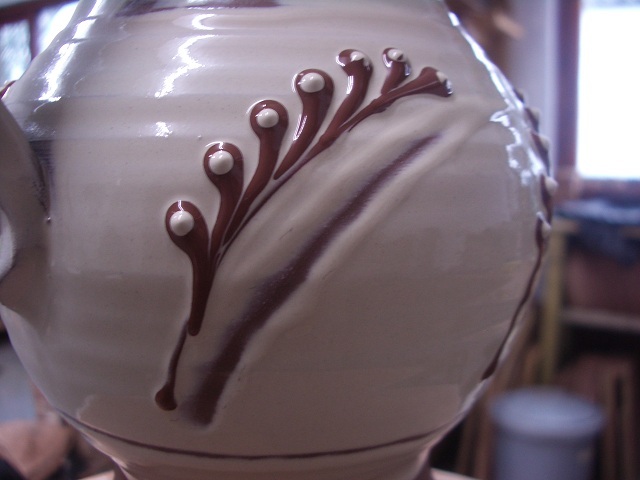 Well not quite, there’s 46 done and one big one that’s waiting for sgraffito but is as yet un-started. I’ve been throwing lots and lots, they’re all tiny wee things mainly, lots of them planning on heading for Japan all being well and some for my next wood firing fingers crossed. 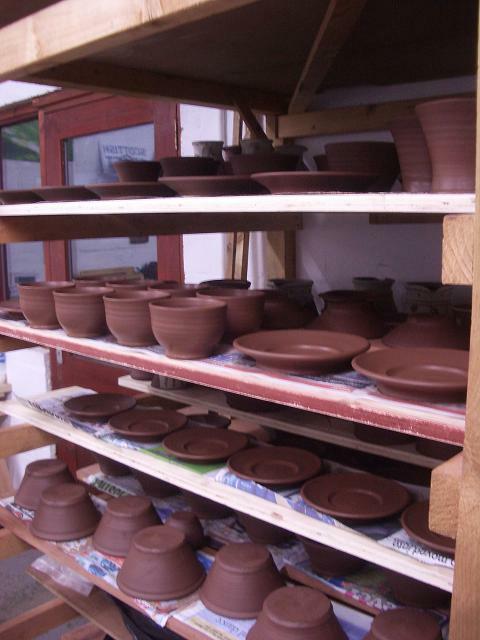 Lots of pots but wee ones so they take up next to no space in a kiln but lots of space on shelves. It wouldn’t be right to not give you lots of pictures of jugs with wet slip now would it? Off to my cousin’s wedding this weekend, I have been making a new frock for the occaision, finished it this morning, I’ll try to get you a picture of it while I am there. This entry was posted in 8lb jugs, brushed slip, pancheons, wet slip. Bookmark the permalink. 4 Responses to February Already? 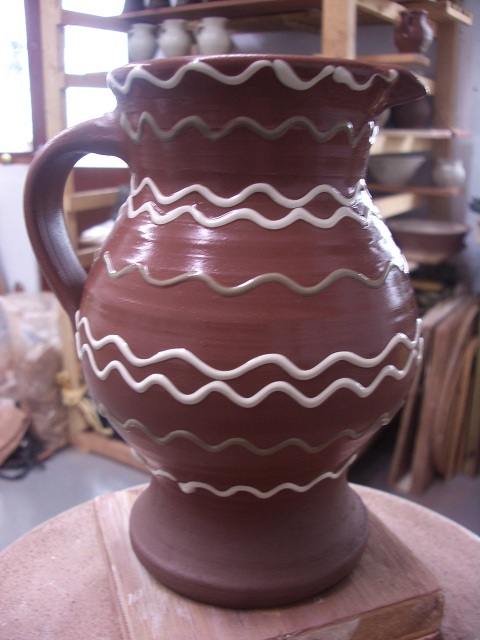 If I made functional pottery, I would make pancheons all day long. 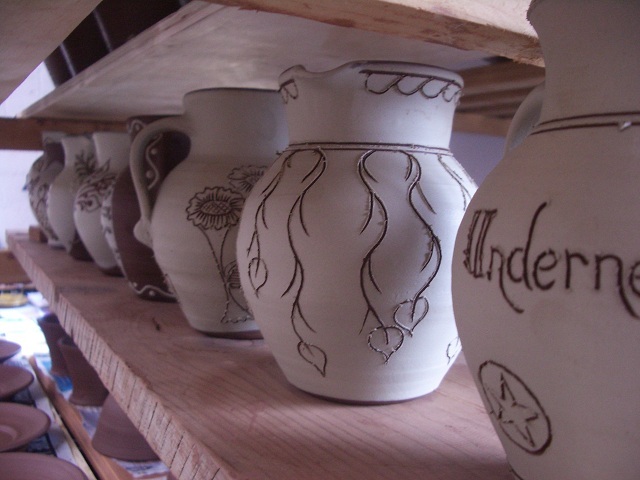 I love the simplicity and usefulness of them, and of course they want to be decorated, why not!! !